I can inspect your bike today. LIMITED SPOTS AVAILABLE! Bikes must be a 2004 make or newer and under 160,000kms. STEP 1 | Get a Quote Fill out the form and we will respond to you ASAP. Whether you’re after some fast cash or just keen to upgrade to a bigger, better and faster model, Are You Selling is here to help you out. Building on over 35 years’ expertise, we’re Australia’s leading bike buyers and are committed to your utmost satisfaction. So don’t worry about organising inspections with timewasters or trying to negotiate, let us look after it all for you! If you like what you hear, we’ll have the payment transferred to your nominated account before collection and within 24 hours. Contact Are You Selling to sell your bike today! Are you located in Australia and needing to quickly sell your motorbike? Hate dealing with the countless amounts of time-wasters, organising roadworthy certificates and all sorts of other documentation involved in the motorbike selling process? Have you gotten so frustrated that you screamed to the heavens 'WILL SOMEONE IN ADELAIDE PLEASE BUY MY BIKE?!' If any of this sounds like you then you’ve come to the right place. Are You Selling is the best way for motorbike sellers throughout Australia to quickly part ways with their bikes. The process couldn't be any easier. So get a quote today so you can enjoy spending your cash tomorrow! Why sell your bike to us? I want to sell my bike, but I need to use it for the next couple of weeks. Can I get a valuation now and sell the bike later? Yes! Are You Selling can provide a certified valuation and agree on a price now, and arrange a convenient time and location to pick up the car at a later date. Will a valuation cost me money? Is there any commitment required? No, all our valuations are provided for free. Unlike many of our competitors, we won’t pressure you into selling if you don’t want to. We have been around for over 35 years and we intend to be around for another 35 years by providing a pleasurable stress free selling experience. Can Are You Selling provide company car & fleet valuations? Of course! Are You Selling loves to deal with companies and government departments. Our experienced team can assist with multiple quotes if required. Will my personal details be kept private? All information regarding your vehicle’s sale is treated confidentially, and all conversations and correspondence will be conducted exclusively with you (unless instructed otherwise). Furthermore, we will never sell your details to third parties. I have finance owing on my vehicle – can I still sell it? Yes. You must obtain a letter from your finance company stating the balance still owing (payout figure). Are You Selling will pay the balance owing to the finance provider, and give you the remaining amount in cash, electronic transfer or bank cheque. Please note: If the value of the payout is greater than the vehicle’s value, we can assist with re-financing. Once I sell my bike to Are You Selling, how long does it take to receive payment? We will transfer the money to your nominated account on the day of the sale. Once the funds are in your account (usually on the next business day depending on your bank), we will come to collect the vehicle! Can you buy any bike? We buy all makes and models. However, we cannot guarantee the purchase of every vehicle due to various issues such as very poor condition, major accidents, stolen vehicles etc. If your bike has any major issues please make sure you tell one of our consultants before booking an inspection with us. Where in Australia do you buy cars? Are You Selling operates right across Australia, including (but not limited to) the following locations: Melbourne, Brisbane, Sydney, Perth, Adelaide and Gold Coast. If you provide us with a genuine, written offer from a competitor or dealership (as a cash offer not a trade in), we will beat it. Please note: This does not include automatic quotes or price guides. 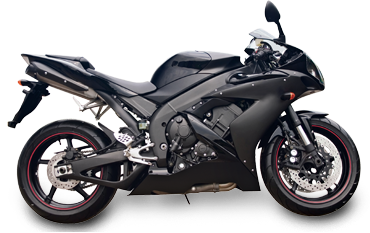 If your bike is a 2004 make or newer and under 160,000 kms, fill in the form for a FAST QUOTE!